I spotted a small patch of Purple Loosestrife (Lythrum salicaria) recently along Interstate 40 in Forsyth County, North Carolina. Although I have heard rumours that beekeepers have spread Loosestrife in some areas, I saw no European honeybees on these plants. However, several species of apparently native bees were swarming over the plants. 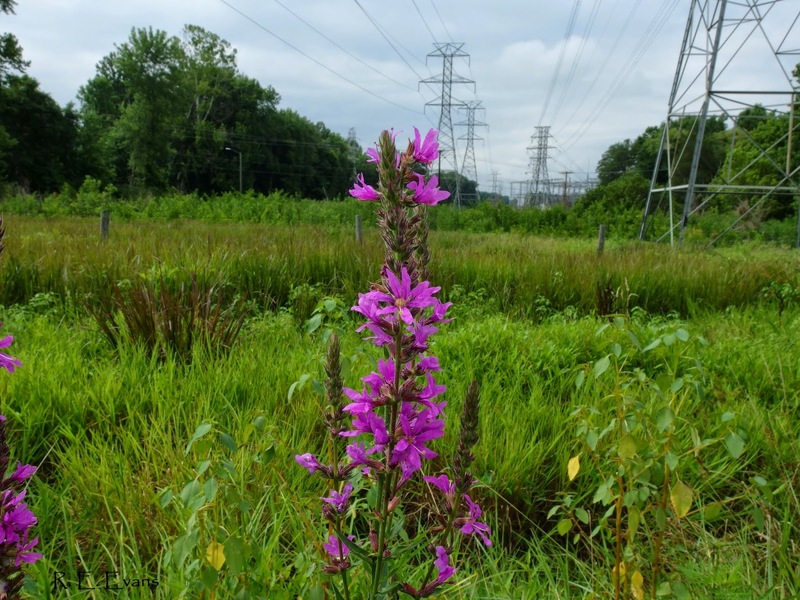 Purple Loosestrife is a well known invasive of many northern states and a host of these have passed regulations restricting imports. It remains poorly established in North Carolina, where it is listed as a "Class B Noxious Weed" (along with any other Lythrum spp. not native to the state). Class B status is defined as, "Any noxious weed that is not native to the state, is present in fewer than 20 counties statewide, and poses a threat to the state" (Section .1700, 02 NCAC 48A.1701). 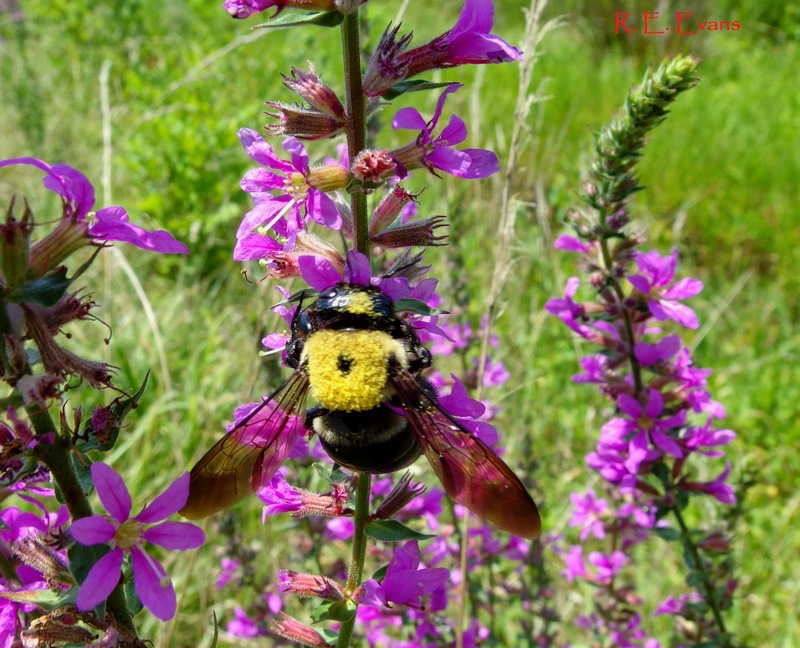 One impact of this regulatory listing status is that sale or distribution of Purple Loosestrife is prohibited in North Carolina. It turns out the small population noted above is scheduled for control action by the North Carolina Department of Agriculture, and will hopefully be eradicated before it sets seed. Please report any other populations found in NC.